Looking for a bucket list voyage? 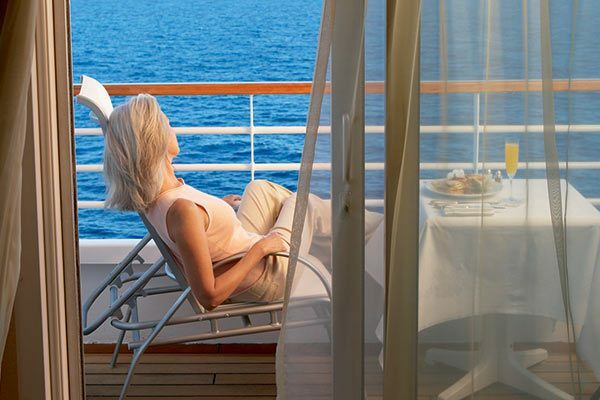 Look no further than Crystal Cruises. Relax on a South Pacific cruise, or try a thrilling Antarctica itinerary. For something different, enjoy a Spotlight Cruise full of specialized entertainment and programs. 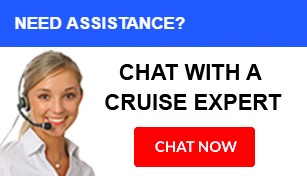 Like customized excursions? They’re plentiful with Crystal, such as African safaris or even treks along the ocean floor. 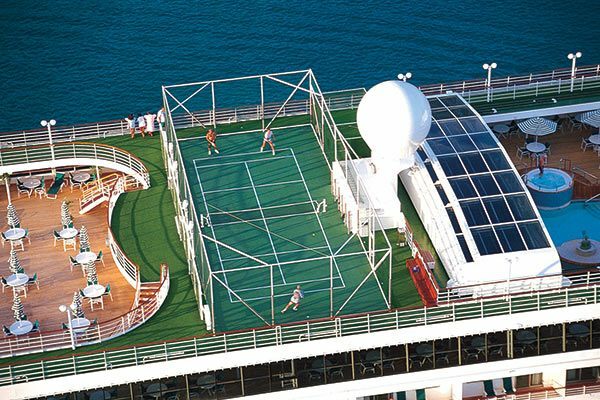 You can do nearly anything when you book a Crystal Cruises voyage. 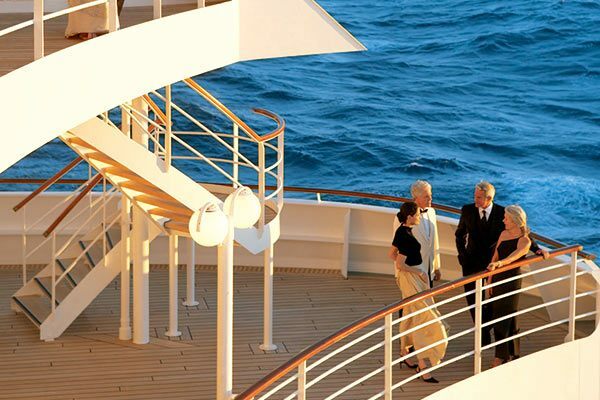 Onboard, you’ll live in the lap of luxury. 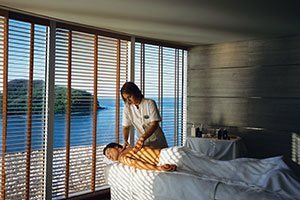 Experience the only Feng Shui-inspired spa at sea, a multiple award-winner. Top off your exquisite cuisine with unparalleled service, enriching lectures and programs, and sumptuous veranda staterooms and suites. 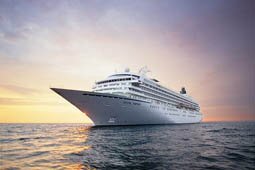 Sail away on the crowning glory of Crystal Cruises — the Crystal Serenity and Crystal Symphony — the world’s most-awarded cruise ships. For a more intimate getaway that holds just 62 lucky passengers, board Crystal’s stunning boutique yacht, Crystal Esprit. If you just want to leave the daily grind behind, experience paradise by seeing all that the globe has to offer on a world cruise. Conceived and produced by Crystal's own creative in-house production staff, Crystal Cruises' Broadway-style shows are a highlight of every cruise. After dinner, stroll to the Galaxy Lounge to witness the talented Crystal Ensemble of singers and dancers in such spectacular original productions as Fascinatin' Rhythm, Million Dollar Musicals, COLE!, Curtain Call and many more! The Galaxy Lounge is the venue for award-winning production shows and a host of other evening performances. The showroom was custom-designed to offer perfect views from each of its seats, and features state-of-the-art sound and lighting systems. The stars shine brightest at sea. 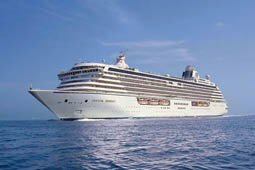 Crystal Cruises is proud to feature exciting celebrity entertainers on board such as Carol Channing, Tommy Tune, Marvin Hamlisch, Joel Grey, Maureen McGovern, Lorna Luft and John Davidson – among many others – all part of the diverse spectrum of entertainment options available to our guests. One stroll about the public areas on any Crystal cruise and you will discover entertainment at practically every turn. There's a headline show every evening in the Galaxy Lounge. There is frequently music in the Crystal Cove and a pianist performs nightly in the Avenue Saloon. A string ensemble entertains in the Palm Court during Afternoon Tea. 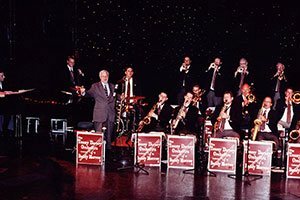 Entertainment may also be found at various times in other venues including the Crystal Dining Room, the Starlite Club, the Stardust Club, on the Lido Deck and more. Crystal Cruises features at least four variety performers from around the world on every cruise. These may include a classical musician, a Broadway vocalist, a pop singer, comedian, juggler, ventriloquist, instrumentalist or other respected performing artist. Choices are key elements of the Crystal dining experience, rich in menus and venues. Elaborate, four- or five-course menus are presented daily in several settings. 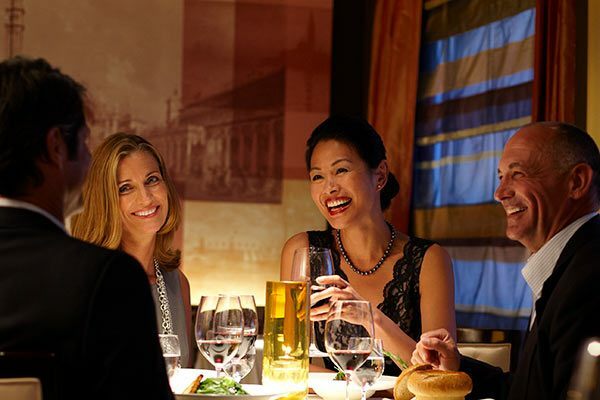 The grand Crystal Dining Room features international cuisine and regionally inspired dishes based on the itinerary, and never repeats a menu, even on a 100-plus day World Cruise. This classic dining experience offers Classic Main, Classic Late and the new Open Dining by Reservation. 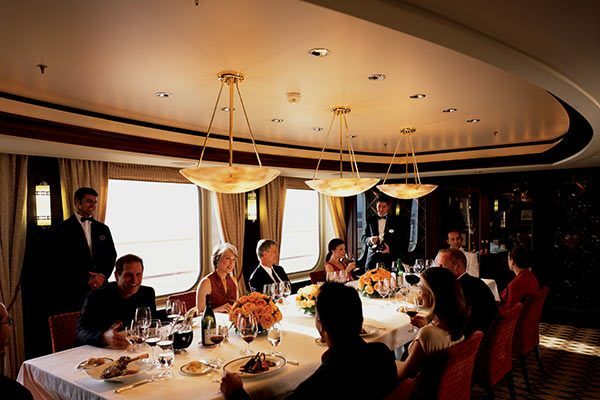 With the most extensive wine cellars at sea (some 20,000 bottles), Crystal offers guests a comprehensive choice of wines, plus a new reserve list of 20 rare vintages. Further, the intimate Vintage Rooms play host to the ultimate gourmet experiences with the first-ever at-sea Wine-Makers dinners. Lido Café features a casual ambiance with breathtaking ocean views, and the buffet-style indoor/outdoor café offers both Early-and Late-Riser Breakfast, as well as late-morning bouillon service and luncheon buffets. Daytime snacks, a lunchtime hamburger/hot dog grill, sandwiches, specialty burgers and a full bar are available at the Trident Bar & Grill. 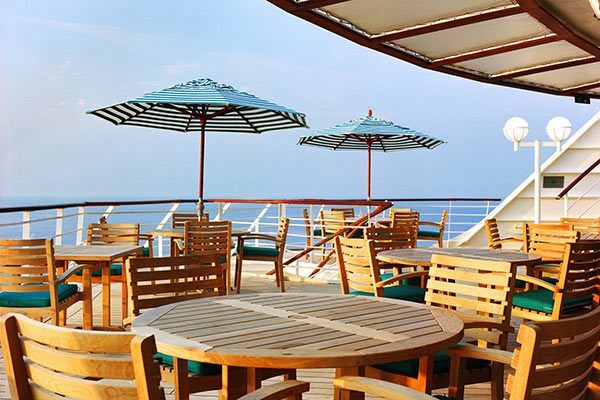 During your cruise, you will be treated to several special buffets that might include Asia Café, Cuisine of the Sun, Latino Nuevo and American Classic. For your sweet tooth, ice cream, frozen yogurt, sherbets and freshly baked cookies are available during the day at the Ice Cream Bar. Breakfast and lunch are also served in the Crystal Dining Room. What could be more civilized than afternoon tea? Crystal Cruises offers several tea options to transport you to a different time and place. Revel in the luscious Viennese flavors and elegant ambiance of our Mozart Tea, where staff in period costumes of velvet, brocade and lace cater to your pleasure. You may also choose the white-tie-and-tails tradition of an English Colonial Tea or the charming southern ambiance of Crystal's popular American Tea. Sometimes, after a long day's adventure ashore or a full schedule of activities on board, the very best option for dinner is to order in. Leave your formal wear in the closet and dine in your bathrobe and slippers, if you wish, with a full selection of delectable dishes from your In-Suite & In-Stateroom Dining menu. You may also order from the evening's menu in the Crystal Dining Room, or request whatever your heart desires-Crystal's chefs will do their best to oblige your tastes. Those guests in Penthouses who order In-Suite & In-Stateroom Dining will be served by their butler, and also have the option of ordering from the specialty restaurants. 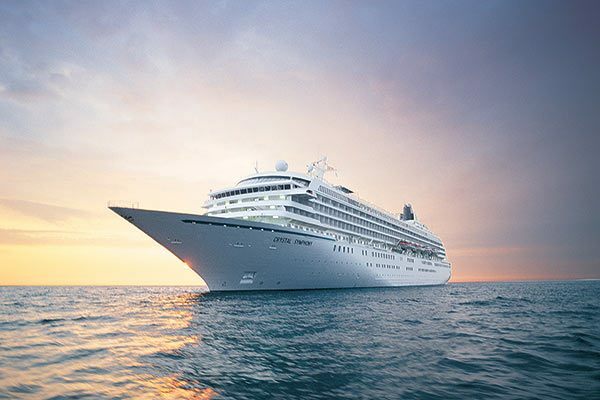 Crystal Symphony and Crystal Serenity each feature an exceptional variety of evening dining options. In addition to the main Crystal Dining Room, there are two specialty restaurants and Room Service available 24 hours. 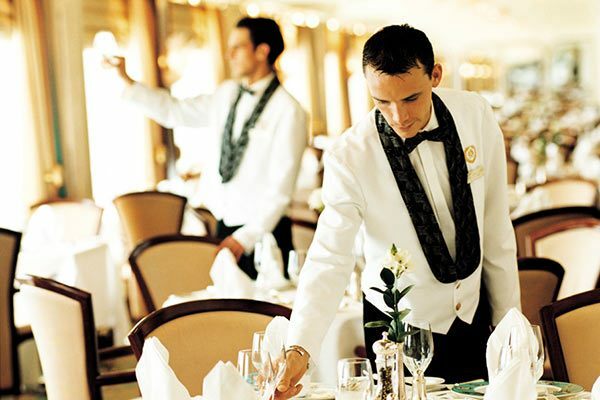 Crystal Cruises is expanding its fine dining options in 2011 with Perfect Choice Dining, adding greater flexibility and choices. Open dining by reservation will be offered in the Crystal Dining Room, in addition to Classic Main Seating and Classic Late Seating. 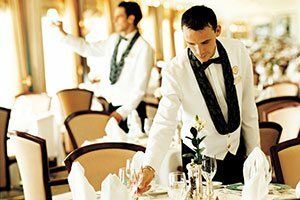 The extraordinary cuisine for which Crystal Cruises is justifiably famous is offered in the elegant Crystal Dining Room, located in the heart of the ship just off the Crystal Plaza. The Crystal Dining Room is beautifully appointed, with sweeping ocean views by day and a magnificent ambiance at night. Gracious European-trained waiters and internationally acclaimed chefs provide regionally inspired dishes and classic continental cuisine. The Crystal Dining Room offers the flexibility of two seatings to facilitate your dining preferences, and gives you the convenience of open seating at breakfast and lunch. On Crystal Symphony and Crystal Serenity, Crystal features contemporary Asian cuisine in the specialty restaurant Silk Road and The Sushi Bar, offering signature dishes created by internationally renowned Japanese master chef, Nobu Matsuhisa. On Crystal Symphony and Crystal Serenity, the Italian restaurant, Prego, offers elegant dining with a spectacular view and unique Italian cuisine. No matter where in the world you are cruising, you'll have the option to enjoy Old World charm and authentic regional Italian cuisine, with signature creations by Piero Selvaggio, owner of the renowned Valentino restaurants in Los Angeles and Las Vegas. Today’s health-conscious travelers will appreciate Crystal’s breakfast, lunch and dinner menus offering selections that are low in salt, fat, sugar and cholesterol. Designed to cater to a variety of dietary needs, including diabetic and gluten-free, the emphasis is on beautifully presented, fresh, flavorful and satisfying meals. A vacation in and of itself is intended to be rejuvenating, and the fitness and spa offerings are designed to provide an added element of harmonizing enrichment to your travels. The extensive roster of specialized programs will help you maintain, or even begin, a fitness regimen while traveling. Experience the sublime and the sensuous in the Crystal Spa, the only Feng Shui-inspired spa at sea. As a Readers’ Choice Award winner by Spa Finder and Condé Nast Traveler, the Crystal Spa consistently ranks among the world’s most renowned resort and destination spas. Feng Shui is the ancient practice of balance and harmony, and the Crystal Spa embodies a tranquil environment, easily allowing you to slip away from the stresses of daily life. In serene treatment rooms, rejuvenating services such as Aroma Stone Therapy, Japanese Silk Booster Facial and Well-Being Massage are dispensed with expert care. A private, canopied relaxation area on the Spa’s aft deck invites relaxation before or after a treatment. Separate facilities for men and women include state-of-the-art sauna and changing areas featuring showers with multiple head and side body jets, fiber optic lighting, and a selection of special rain and mist functions. The full-service Crystal Salon offers a relaxing experience with sweeping ocean views. 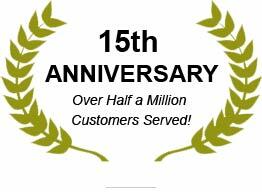 Trained professionals provide a wide variety of treatments including haircuts, styling and coloring; facials and skin analysis; manicures and pedicures; and barber services for men. Other highlights include custom-designed manicure/pedicure areas with sunken foot bowls, well suited to the “Sole Delight Foot Ritual” with warmed aromatherapy oils and massage prior to a full pedicure. Each ship features a spacious, state-of-the-art Fitness Center with panoramic ocean views. Relax the mind, body and soul and indulge in a Pathway to Yoga class or Pilates session. Challenge yourself on one of their new Tour de Spin indoor cycling classes. Learn to increase your strength, balance and flexibility on revolutionary KinesisTM equipment that comprises double weight stacks, cables and pulleys to allow for more than 250 exercises and 360° movement. Private Kinesis sessions with a qualified personal trainer may also be scheduled. The Fitness Center also features cardio machines such as LifeFitness®treadmills complete with individual flat-screen televisions, cross trainers, recumbent and upright life cycles and steppers, all with heart rate sensors, the LifeFitness Pro Series® of strength equipment, and a range of free weights and mats.